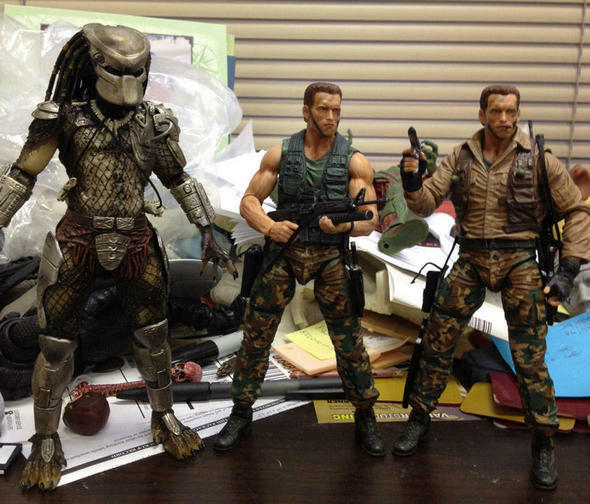 You are here: NECAOnline.com » Blog » Behind The Scenes » Predator Series 8 – 7″ Dutch Schaefer Action Figures Ready To Ship! Our first-ever Dutch Schaefer action figure is packed up and ready to go! If you’re not following NECA on Twitter, now’s the time to start keeping up. Our own Randy Falk, Director of Product Development and all-around nice guy, is constantly giving up-to-the-minute info on all our latest doings, whether it’s new licenses, the latest figures and other items, or even special behind-the-scenes looks at how it all comes together! Predator Series 8 – Dutch Is Ready! 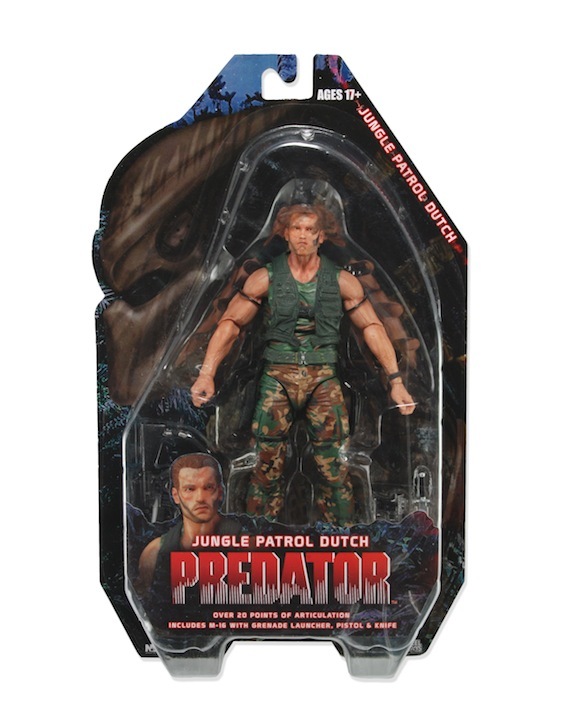 It is indeed… because Predators Series 8 features not one but two versions of Dutch in 7″ scale! Jungle Patrol Dutch is immortalized in his camo muscle shirt and vest and features over 20 points of articulation, plus comes with M-16, pistol, and knife accessories. Predators Series 8 Samples, Including First-Ever Dutch Action Figures! 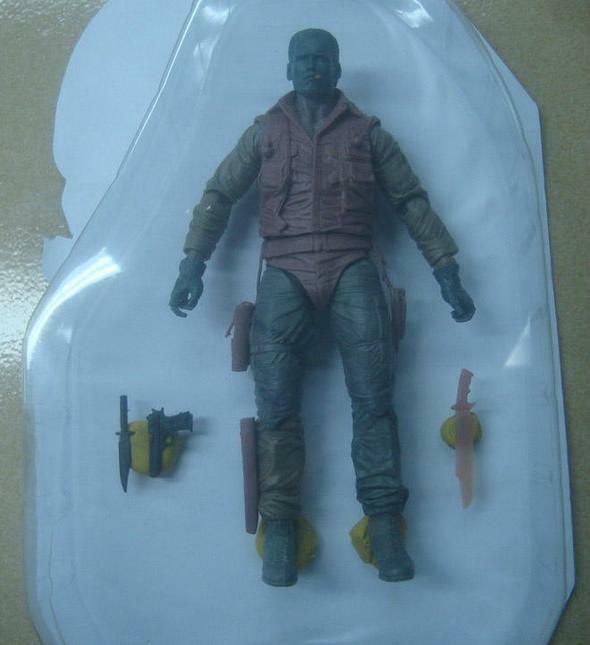 First Look — Predators Series 8 Dutch Schaefer 7″ Action Figures! If you know anything about NECA, you know we ain’t got time to bleed! Stay tuned for more on Predators Series 8 and beyond! And don’t forget to show off your Predators collection to us on Facebook, Twitter or Google Plus!